tasting :: pears/pistachios/goat cheese together, roasted vegetables, mashed potatoes and grilled chicken burrito with tofutti sour cream. smelling :: fennel, brussels sprouts and butternut squash roasting in the oven. 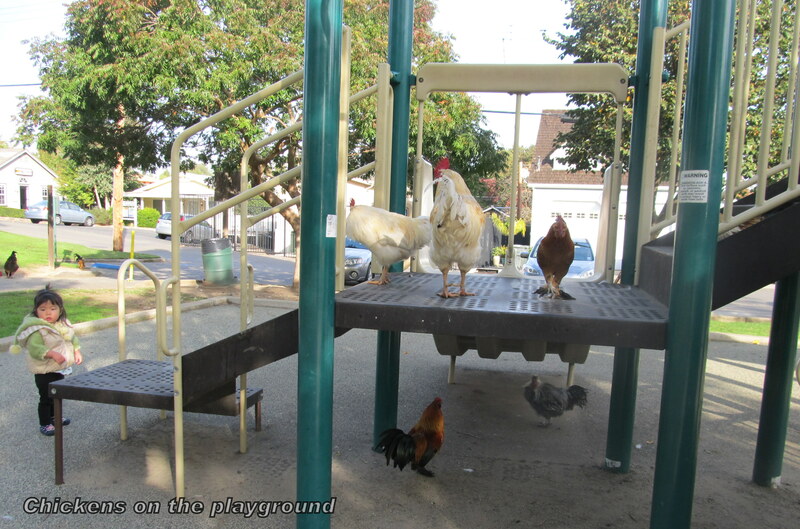 seeing :: chickens on the play structure. feeling :: refreshed post retreat and shocked thanksgiving is already next week. wishing/hoping :: for everyone celebrating american thanksgiving a happy one. Um, I think your readership requires an explanation of the chickens.